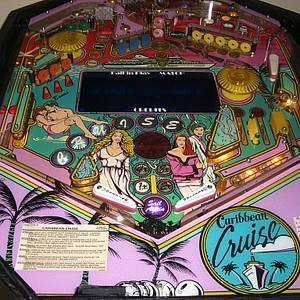 Caribbean Cruise, produced in 1989, was part of International Concepts' attempt to reintroduce the cocktail pinball table. Only this and Night Moves were designed by International Concepts, as they did not find much success. International Concepts contracted Gottlieb Premier to produce these machines. This game has received 13 approved Pinsider ratings. 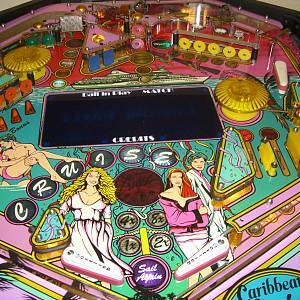 2 more approved ratings are needed to get a rating and for it to be eligible for the Pinside Pinball Top 100 ranking. There are 8 rating comments for this game. 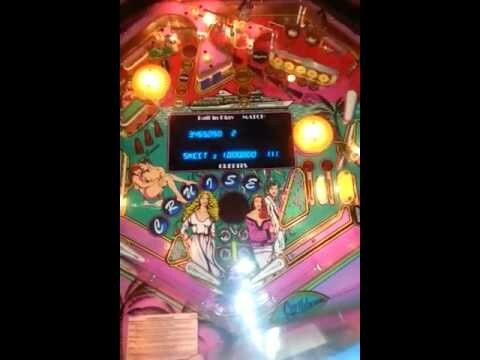 29 Pinsiders have this game in their collections. 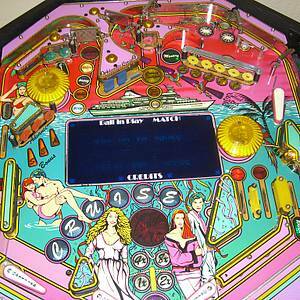 32 Pinsiders have this game on their wishlist. 4 NIB Pins in Newton NC Storage Auction 2 STOLEN Please Help Find Them! !